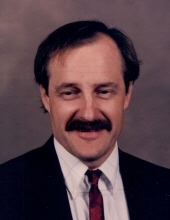 Dale W. Pennock, age 64, of Urbana, passed away Wednesday, December 26, 2018 in East Peoria. Dale was born on November 26, 1954 in Pekin, Illinois, to Paul and Mildred (Garrison) Pennock. He married Yolanda Lingenfelter in 1981. He worked as a Mechanic for Ray Dennison Chevrolet in Pekin, Scheirer Buick in Pekin and last, for Peoria Charter Coach in Peoria and Urbana. At a young age, Dale got involved in motocross with his two brothers and nephew, traveling all over the state of Illinois. He took Okinawan Karate, achieving a green belt. Dale also enjoyed mountain biking and camping. He loved throwing Halloween parties for many years and was the king of the grill, smoker and fryer. Dale served in the U.S. Navy and attended Oak Grove Bible Church in East Peoria. Surviving, are his parents, Paul and Mildred Pennock of East Peoria; two children, Andrew and Katrina Pennock of Peoria; two sisters, Doris Lunsford of East Peoria, and Sharon Conaway of Marquette Heights; two brothers, Boyd Pennock and wife, Becky, of Creve Coeur, and Troy Pennock and wife, Julie, of Tiskilwa, IL. He was preceded in death by his Paternal Grandparents, Walter and Florence Pennock; and his Maternal Grandparents, Alfred and Nettie Garrison. A Funeral Service will be conducted 11:00 AM, Monday, December 31, 2018, with visitation one hour prior to the service, at Bourbon First Assembly of God. Burial will follow in Bourbon Cemetery. Memorials may be made to T.A.P.S. or the American Cancer Society. Friends can share online condolences with the family at www.eatonfuneralhome.com. To send flowers or a remembrance gift to the family of Dale W. Pennock, please visit our Tribute Store. "Email Address" would like to share the life celebration of Dale W. Pennock. Click on the "link" to go to share a favorite memory or leave a condolence message for the family.